The air’s still warm and the sun’s still bright, so even if you’re not being hit by a heatwave, you’re probably still struggling to cool off and dab away the sweat on your forehead. Well, there’s one way you can keep your house cooler year after year, and that's by choosing the right flooring. Which is why I have teamed up with Amtico to round up the top three ways to keep your home cooler this summer and every summer after! 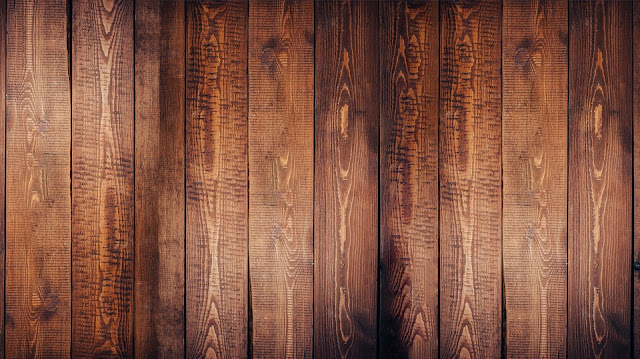 Speaking of wood, it’s also an excellent choice in any climate or weather condition – it adapts based on the air around it, especially when properly treated. There are so many types of hardwood that you can easily find one that matches your style or preference – anything from Birch to Bamboo – and it can all be added on top of existing flooring to double up on its durability or heat efficiency. It can be tough to clean, though, so properly treating and maintaining it is essential for long-term use. It’s also important to choose the right wood for the right rooms. If you’ve got kids, this is especially important, since natural untreated wood can splinter or bend under their feet. On the positive side, hardwood flooring is also easy to replace, since it’s literally planks – if one part of breaks, it wouldn’t take a specialist more than an hour or so to take up the damaged parts and nail down new ones, completely skipping the need to move a carpet or pull off tiles. Concrete seems a little bit unconventional, but it’s incredibly environmentally friendly, and regulated temperature during both summer and winter. It’ll stay cool in direct sunlight, even through windows that make the light hotter, and is nearly impossible to scratch or stain – something parents might find very useful in the long run. If you’re not a fan of flat flooring, consider concrete tiles. If that doesn’t do it for you, perhaps try using to make your own custom flooring – mix in some smooth glass panels or pre-stained areas to create something with a bit more colour, or maybe lay some thin wood on top to create a double-layered flooring that’s still practical. You could even cover it with some smoother parquet flooring to make a more child-friendly design. Vinyl flooring is one of the most popular forms in the western world, and for good reason – it’s versatile, cheap and excellent at absorbing heat. Tiles, like those sold by Amtico, are the most common, and can easily be mixed and matched to create some unique designs without sacrificing their effectiveness or quality. They’re safer, too, since a young child would struggle to hurt themselves simply by moving around – no splinters, no nasty edges, and a comparatively soft material compared to other, more solid options. If you choose click-together vinyl tiles, you won’t even have to worry about permanent damage, since you can just pick them out and replace them with another whenever you have the time. Finally, there’s the often-overlooked fact that vinyl flooring can come in hundreds of varieties – kitchen tiles, office flooring and even some safety-focused types designed specifically for use with babies or really young children, so no matter what taste you have, you're sure to find something that tickles your fancy! Do you have any tips on how to keep homes cooler this summer? If so I'd love to read any tips you have if you fancy leaving a comment. *This post contains a sponsored link.